Yosanne Vella: "This book focuses on three basic notions which I regard to be extremely important in history teaching. First of all, which approach should a history teacher adopt? That is, what pedagogy or methodology to use. This decision is fundamental and must precede any teaching. Long gone are the days when ‘knowing the story’ and ‘telling it’ to a class is sufficient. Effective history teaching requires a well-trained teacher who has both strong subject knowledge and pedagogical subject skills. Making history accessible to adolescents and developing historical understanding in pupils needs specialised training. Therefore the first two chapters debate precisely the hazards of certain approaches and the benefits of others. Similarly to most European countries Malta today is a multicultural society and teaching any subject in such an environment needs a bit of extra thought. All democratic politicians, educators and consultants exalt the benefits of living in a multicultural society. However, what can a history teacher do? I have long felt we are rich in rhetoric but poor in practical ideas of how to promote multiculturalism in any classroom let alone specifically in history lessons. So the second part of the book is in fact presenting two personal research attempts (chapter 3 and chapter 4) in the local context to try and find ways how history can foster and stimulate pupils to think about multiculturalism. Throughout my years as a history pedagogist I have watched and participated in various wonderful history lessons where pupils were very much engaged in learning, and participated fully in resource-rich lessons with tasks focused on interpretation and evidence analysis. Unfortunately, there were several occasions where these same lessons were followed by writing activities and it was then that the pupils floundered. The work produced by the pupils was not up to standard. I have given much thought to this anomaly and researched various work on how the writing of pupils can be improved. Anyone learning and studying history cannot escape from writing in history; it is part and parcel of the subject. Inevitably you are going to face occasions where you need to be able to read and understand fairly long and complex text, and in turn you need to produce written text. Therefore, as their dissertation tutor, I seized the opportunity to encourage two of my history teacher trainees to try out various techniques which would hopefully produce better written pupil feedback and better pupil understanding of written text. The last part of this book (chapter 5 and chapter 6) are two papers I wrote, based on the work carried out in these dissertations. 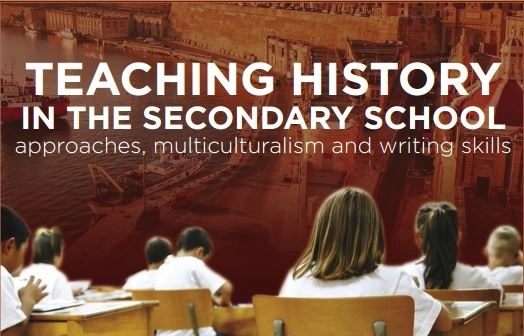 They were successful in both supporting pupils’ writing in history (Rosaline Caruana’s B.Ed Dissertation) and pupils’ understanding of history written text (Kimberly Caruana’s B.Ed Dissertation). In sum, this book brings together my most recent research in history teaching which specifically focuses on aspects which I feel are of growing importance in my field. While by no means offering permanent solutions, I hope this book contributes to the ongoing quest to find the best pedagogical approaches for history teachers to use."